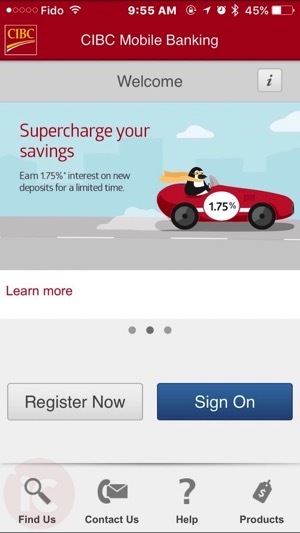 After promising back in December Touch ID and iPhone 6 support was coming soon, the features have finally arrived for CIBC Mobile Banking iOS users, with version 7.0 released today. The new version has been updated to support Retina displays on the iPhone 6 and newer, while Touch ID allows for seamless sign-ons without the need to enter your password. You can now also view images of cheques you’ve written, download eStatements and access details from your mutual funds, mortgages and loans, while also setup recurring bill payments, transfers and more. You asked, and we listened. Check out the app’s sharp new design, tailored to the iPhone6 and above, plus, improved features and some new ones you’ll love, including Touch ID. Now you can easily access details on your deposit accounts, mutual funds, mortgages and loans. You can also view eStatements and cheque images, set up recurring bill payments and transfers, and receive and manage INTERAC e-Transfers. Canadian banking users are still waiting for RBC and TD to update their iOS apps with Touch ID, like BMO and Scotiabank have already. 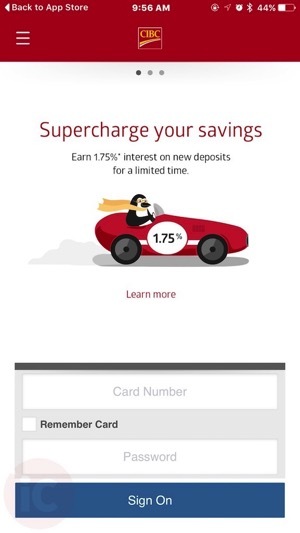 Click here to download CIBC Mobile Banking for iOS in the App Store. Let us know how you like this update.